For today’s deals roundup, we’ve put together a bunch of portable speakers in the list from brands like LG, Phillips, boAt and more. Are you on a lookout for a portable speaker? Love to take your music everywhere you go? Then, you came to the right place. 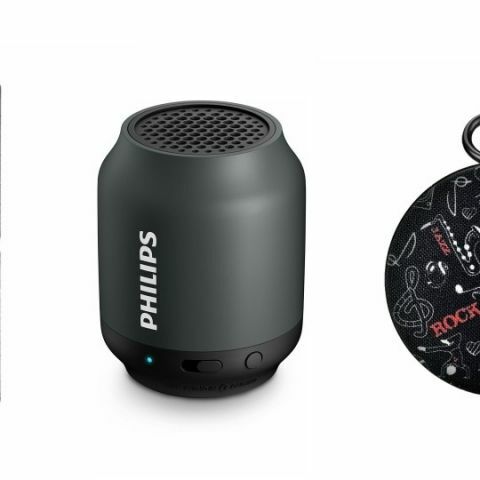 We’ve got you covered with some of the best deals on portable speakers that cost less than Rs 2000. The list includes products from popular manufacturers like JBL, Phillips, boAt and more. The boAt Stone 200 is a waterproof and shockproof Bluetooth speaker, which comes with an IPX5 certification. The device features a 1500mAh battery, which as per the company can deliver ten hours of audio playback in one charge. You can purchase this device here. The Philips BT50B Portable Bluetooth Speaker is equipped with an anti-clipping feature that lets you stream music in a higher quality even when the battery is low. The built-in rechargeable battery in the device eliminates the fuss of cords and search for a power outlet. It is available in four colors grey, white, green, black. You can purchase this device here. The boAt Stone 260 is an IPX5 certified, waterproof and shockproof Bluetooth speaker. The device features a 1000mAh battery, which as per the company can deliver four to five hours of audio playback. You can purchase this device here. The Portronics POR-795 comes with an IPX5 certification and an in-built mic that gives you the option to answer/reject calls on the speaker. As per the company, it can provide six hours of playback in one go. You can purchase this device here. The LG PH2R Bluetooth speaker comes with an IPX5 rating and offers 360 degrees sound with an option to connect up to three devices. The company claims that it can provide six hours of battery life on a single charge. You can buy this device here. i want to buy headphone. under Rs. 2000. Which is the best headphone under Rs 2000.